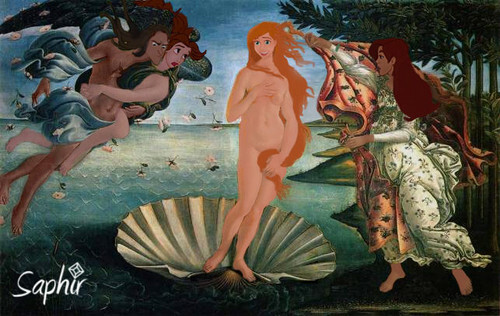 The birth of Venus (cartoon version). Left to right: Tarzan, Belle, Gisele, anastasia. Wallpaper and background images in the disney crossover club tagged: disney crossover tarzan belle gisele anastasia saphir the birth of venus. OKay, this is AWESOME...what made you think of doing this?!! !